Passengers are welcome to board the ship in Vienna at 6:00 p.m. After comfortably settling into your cabin, join us for a welcome cocktail with the crew before dinner. Tonight’s dinner will have an Austrian flair. We'll remain in port overnight. CLASSIC: Guided tour of Vienna. DISCOVERY as a supplement: The high art of Viennese living: Music and Viennese cafes. We'll stroll through the city and visit back stage in the Konzerthaus concert hall. After our tour, enjoy a steaming cup of Vienna Coffee and a delicious pastry. 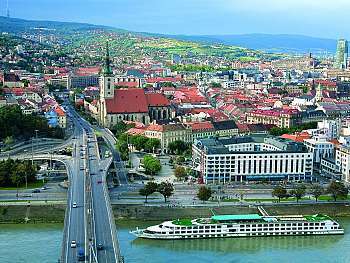 We’ll spend the afternoon sailing on the Danube, a river rich in history with a colossal heritage. Enjoy an evening of dancing after dinner. We’ll arrive in Budapest during the evening. We'll remain in port overnight. CLASSIC: Guided tour of Budapest, once two distinct cities that united only in 1873. DISCOVERY as a supplement: Budapest by bike. You'll see all the important sights of the city, cycling through the historical center of Hungarian culture and many other of the legendary sites in Budapest.After our tour, we'll return to the ship. 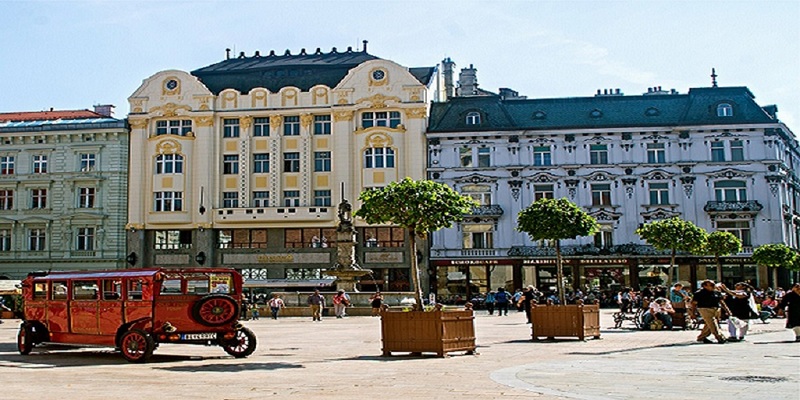 In the afternoon, discover this amazing city on your own or take part in an optional excursion to the Gellert Baths and Spa (not included in the packages).We'll enjoy a Hungarian feast, followed by an evening of entertainment. Our ship will begin to cruise in the direction of Bratislava during the night. CLASSIC: Guided tour of the Slovakian capital. The charm of the Slovakian capital lies in its old city: splendid Baroque palaces, churches and pleasant squares. DISCOVERY as a supplement: Hiking in Bratislava: The Little Carpathians. From Devin Castle, we'll take in the splendid view of Bratislava. After our tour, we'll return to the ship. Tonight is our gala evening. We'll begin to cruise to Vienna. We’ll arrive in Vienna early morning. Enjoy breakfast on board before disembarking at 9:00 a.m. End of our services.